Frognal & Fitzjohns ward covers the western half of Hampstead, including Frognal and Fitzjohns Avenue, from which it gets its name. It stretches from Hampstead Village and West Heath across to Finchley Road and south to Swiss Cottage and Belsize Park. 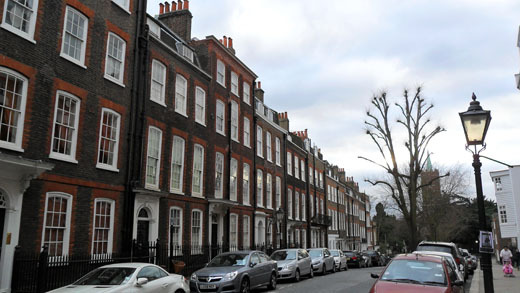 It is served by many great local residents' associations, with the major one being the Heath & Hampstead Society. The ward is represented on Camden Council by three hard-working local Conservative councillors: Henry Newman, Andrew Parkinson and Gio Spinella. They hold a regular advice stall outside Barclays Bank, 28 Hampstead High St, NW3 1QB, from 10:30-12.30, on the second Saturday in each month. Come along and meet the team! Paul Ratner is the ward chairman. The ward committee runs a thriving local branch holding social and political events. Frognal & Fitzjohns ward organises our flagship Blue Rosette dinner, named after stalwart activist Rosette Irwin. Frognal & Fitzjohns hosts bimonthly pub meet-ups at the Duke of Hamilton, an independent pub on New End in Hamptead village, in conjunction with Hampstead Town ward. All supporters, whether party members or not, from across Hampstead & Kilburn (or further afield!) are welcome.